The following are thumbnail biographies of some of the people who worked with and most influenced Nevil Shute Norway in his careers as an aviation engineer, aircraft company founding manager, and novelist. Sir Alan Cobham, knighted for his many contributions to British aviation, was initially thought to be just another airborne daredevil. In fact, he was a consummate airman who first learned to fly with the Royal Flying Corps (RFC) in the last year of WW I. He joined the de Havilland firm in 1921, having previously performed many aviation roles, including barnstorming. At de Havilland, Cobham quickly became Chief Test Pilot and Delivery Ferry Pilot for the firm. In 1925 he delivered the first DH-60 Moth to a flying club. While at de Havilland's he was apparently given considerable personal leeway. For example, in 1924 he entered and won the King's Cup Air Race, for which he was awarded one of his three Royal Aero Club Gold Medals. In 1924 he flew to India and Burma accompanying the Director of Civil Aviation, Sir Sefton Brancker. He also flew a DH-50 float plane completely around the African continent landing only in British territories, for which he was knighted. In 1926 he made a pioneering flight to Australia in one of the firm's planes. Much of the long distance flying around Africa and through the Middle East to India was for the benefit of Imperial Airways, furthering Britain's efforts to connect the Commonwealth countries by air. He left de Havilland's in 1927 and formed his own company, National Aviation Day, moving from airfield to airfield, giving joy rides to local passengers in a variety of aircraft. In 1930, Sir Alan was approached by Hessell Tiltman and Nevil Shute Norway to invest in Airspeed, Ltd. The following year, he ordered two ten passenger, three engine biplanes in order to carry more people in his air show. These £5,000 planes were the AS-4 Ferries, the first powered aircraft built by Airspeed. By 1933 Sir Alan had tried in-flight refueling using a Handley Page W-10 bomber, lowering a hose to an Airspeed AS-5 Courier. Although successful, the project was never put into practice. Sir Alan continued his Air Service Days through 1933, wintering with shows in South Africa. At the end of that period, he retired. Sir Geoffrey de Havilland was probably the most significant figure in early British aviation. He built his first plane in 1909 with funds borrowed from his family. At that time he had never seen a plane in flight. The first attempt wasn't successful, and a second followed in 1910. This plane flew so well that the government bought it for £400, and newspapers cheered Britain's first citizen to build a successful powered aircraft. By 1914, de Havilland joined the Aircraft Manufacturing Company (Airco) as a designer. There, he quickly became Chief Designer. Airco produced the DH-1 in 1915, using his initials as the aircraft designation in order to recognize his design work. More aircraft followed, ending with the DH-11, a less than successful design, at the Armistice. By 1920 Airco had come upon bad times and went out of business. De Havilland took this opportunity to start his own firm, naming it de Havilland and, of course, retaining the DH designations for the aircraft. After starting his own company, de Havilland quickly sized up the post war market and switched solely to civil aircraft. This approach continued until the government began rearmament. Thereafter, the war effort kept the company busy. By the end of WW II de Havilland was building jet fighters; Comets were on the drawing board, and the company was back into the civil aviation field. In 1967, economic interests forced de Havilland to merge with the Hawker Siddeley group. Mr. de Havilland, now Sir Geoffrey, was knighted for his extensive work in the aviation field, and was the recipient of numerous additional honors and medals for his contributions. Nevil Shute Norway worked at the de Havilland plant in the early 1920's, leaving to join Vickers on the R-100 project in 1924. By the early 1930's de Havilland and Airspeed were competitors in the civil aircraft field. De Havilland, despite clinging to slow biplanes compared to Airspeed's faster, retractable undercarriage monoplanes, continued dominating the market due to their proven record, and their extensive sales, marketing and service forces. Nevil Shute Norway on the other hand, did not consider Airspeed to be in direct competition with de Havilland. Indeed, Nevil featured 24 Airco and de Havilland aircraft in his novels and autobiography. Lord Grimthorpe was a wealthy Yorkshire landowner who owned his own airplane. Because of this aviation interest and his concern for the worsening unemployment of local men as the depression started, he agreed to invest £3,000 in Nevil Shute Norway's proposed aircraft design and manufacturing company, Airspeed Limited. He was also the first Chairman of the Board for the new company. Lord Grimthorpe remained on the Board for many years despite the company's failure to make a profit. He stayed on as Chairman even when the company moved away from Yorkshire to larger quarters in Portsmouth. His financial backing was largely responsible for allowing the company to continue until the Air Ministry, anticipating the war, initiated large orders for the AS-10 Oxford as training machines. Some of this history found its way into the novel Ruined City. In 1931, Mr. Tiltman was essentially a co-founder of Airspeed, Limited, along with Nevil Shute Norway. 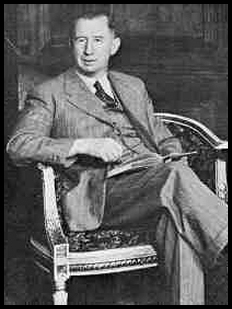 He became Chief Designer of the airplanes to come, while Nevil Shute Norway served as joint Managing Director, principal fund raiser, and salesman. Both were elected to the Board of Directors. Prior to joining Airspeed, Mr. Tiltman had had extensive experience in Britain's fledgling aviation industry. He first joined the Aircraft Manufacturing Company (Airco) in 1916 and worked with the Chief Designer of that company, Geoffrey de Havilland. When Airco folded in 1920 and was replaced by de Havilland the following year, Mr Tiltman went with the new de Havilland company. He worked and flew with Alan Cobham, Chief Test Pilot of de Havilland's, and with Nevil Shute Norway from1921 to 1924, when Norway joined the Airship Program at Vickers. After the cancellation of the Airship Program in 1930, Tiltman and Norway jointly founded Airspeed, Ltd. The following year, despite the recession, the company was able to secure £5,000, well short of their target of £40,000. In order to maintain sufficient working capital, the company had to sell airplanes on paper. Buyers would put money down, allowing the start of production, and make progress payments to keep work going until their planes were ready for delivery. One of the first people approached was (now Sir) Alan Cobham, well known to both Tiltman and Norway. He agreed to buy two aircraft at £5,000 apiece. These were the three engine AS-4 Ferrys designed to carry sightseers aloft during Sir Alan's National Aviation Day, later described in Round The Bend. With that order, the firm was a growing, albeit limping, concern. Nevil Shute Norway left the firm in 1938, partially over a disagreement with Tiltman, and partially because, with success and mass production, much of the excitement had gone out of the effort. Sir Barnes Wallis was one of Britain's least known geniuses in the aircraft field. He joined the Vickers firm in 1913 where he quickly became Chief Assistant in the Airship Department. He designed and oversaw construction of the rigid airship R-80, often called the most beautiful aircraft ever built. Based on his successful work on the R-80, he was named Chief Designer of the R-100 in 1924. This airship was to be bigger than any ever built, and would be paralleled by the Air Ministry airship project, the R-101. The R-100 was to be, as the wags put it, the capitalist ship versus the socialist built R-101. Dr. Wallis was fortunate to get as his Chief Calculator Nevil Shute Norway, who joined Vickers in 1924 after working in de Havilland's. Between 1924 and 1929, the Vickers team designed and constructed the R-100, a masterful airship. They began test flights in 1929, a few weeks after R-101. A total of six test flights were made around England with Norway on board, analyzing the airship's performance and looking for problems. There were few. R-101, on the other hand, experienced a number of serious problems, being overweight, slow, and having insufficient lift capacity. It was taken back into the hanger to have a new section added to accommodate an additional gas bag, and to hopefully address lift and related problems. The increased lift was insufficient, but after only one test flight, R-101 was sent on a flight to India. It crashed in France shortly thereafter, in a storm at night, killing the majority of people on board. R-100 had, in the meantime, made a hugely successful round trip to Montreal, Canada, again with Nevil Shute Norway aboard. However, R-101's crash sounded the death knell for the British airship program. R-100 was destroyed for scrap despite fulfilling all test parameters and exceeding many. With the end of the airship project, Dr. Wallis became an expert without a project. After working in airships since 1913, he turned his attention to airplanes. While designing R-100, he had used a unique geodetic design for much of the structure. He began designing airplane structures using the same approach. His first accomplishment was the Vickers Wellesley bomber, a twin engine monoplane. This plane eventually set a long distance non-stop record of 7,158 miles. Dr. Wallis then moved on to the Wellington, which became one of the most efficient RAF twin engine bombers during WW II. It was produced in huge numbers and used throughout the war. Nevil Shute used this plane in starring roles in two of his novels. In 1943 Dr. Wallis turned his attention to a means for destroying German dams in the Ruhr Valley, both flooding the industrial areas downstream and depriving the Reich of much needed electrical power. After some frantic research, Wallis devised a spherical bomb which was set spinning in a Lancaster's bomb bay and dropped from 60 feet over water behind the dam. The bomb then skipped to the dam and sank to a depth where the explosion and hydrostatic pressure ruptured the dams. In all, three dams were attacked and broached. This event was the dramatized in the movie, The Dambusters. Following his success with the bouncing bombs, Dr. Wallis turned to very large bombs of 10,000 and eventually 22,000 pounds weight. Only the Lancaster bomber was capable of carrying such load, destroying many parts of German industries, and, after four years of trying, the German battleship Tirpitz. After the war Dr. Wallis turned to aeronautical research centered on variable geometry (swing wing) planes. He became a Fellow of the Royal Society in 1954 and was knighted in 1968.